Youhou I succeed with the migration on a self-hosted website! That’s was quite hard but definitely worth it! Please do not hesitate to let me know if something is not working or if you are looking for something that you cannot find! Today I would like to share with you a special recipe. I could not believe it when I couldn’t find anywhere the recipe of my grand mother on the web. In one way I was so disappointed because I really wanted to bake that recipe right now. I was not quite sure about some of the quantities. And then I was like…. What time is it? 6.30 pm. Yes I still can call my grand-mother. Thanks she picked up the phone and gave me the recipe straightaway! 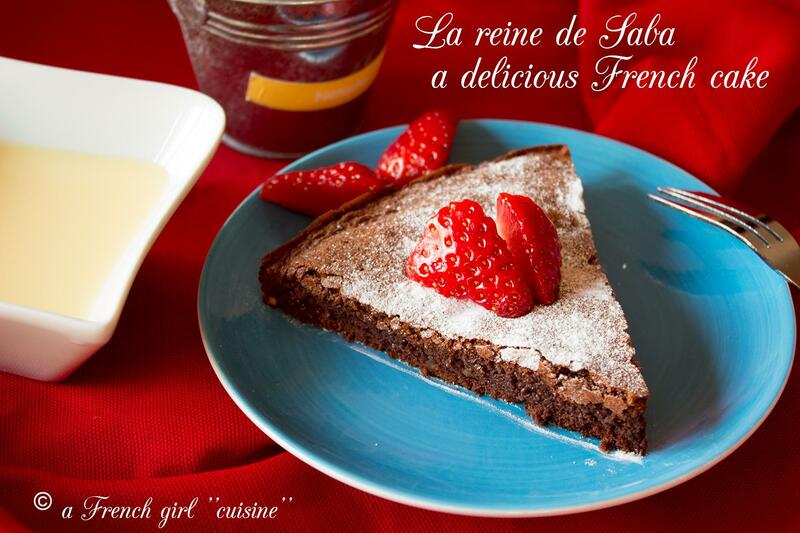 La Reine de Saba was my favourite cake when I was a child and I still love to bake it from time to time. So as a result, you can also have it now 🙂 and my best friend, who is pregnant really enjoyed it! Preheat your oven at 180°C (356°F). Melt the chocolate with the butter in a bain-marie. Mix the sugar with almond powder, maizena and egg yolk. Add the melted chocolate. Whisk the egg white up to firm and incorporate to the mix slowly. Pour in your plate and place in your oven. Bake for 35 minutes environ. You can serve with an English cream the taste is even better and powder some iced sugar on top of it. 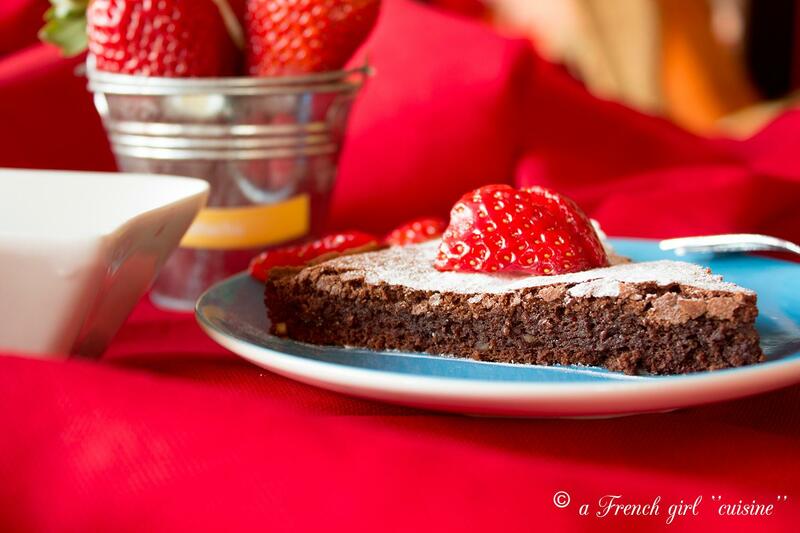 If you enjoyed this recipe, please share it with your friends and on the social networks! Congrats on moving to a self hosted website, the cake looks absolutely delicious! Thank you so much. I still have some problems, the website isn’t working as I want it to do. But this is just the first step! The cake was delicious. As I said this is the cake of my childhood:)! So even if it was not good I would find it delicious :D! Thank you very much for the nomination! I am really glad that you like my blog. I hope you will enjoy my next recipe : éclair au chocolat! Thank you so much chef mimi!